One doesn’t need to have a specific faith or even be religious to benefit from “Gathering of Angels” and “Quantum-Touch®” These are most definitely workshops that are nice to keep the materials handy, and just open to any page in the student manuals to feel uplifted, empowered and remember you have the ability to heal. I found this very interesting article and study and decided to share it with our HQL community since it is totally aligned with our teachings and workshops. Yes, these are truly fascinating questions, but don’t look to the mainstream media for answers. In fact, the media routinely avoid this subject, even though statistics show three out of every four Americans pray on a daily or weekly basis. But with so many people praying regularly, we thought you deserved scientific answers to theseand many more questions on prayer. To this end, we sent our Mind Health Report team out to the scientific medical community, to learn the potential benefits of regular prayer practice. And let me be clear. We’re not promoting any specific religion or spiritual practice. But rather, we wanted to see what neuroscientists learned from their laboratory tests and controlled double-blind medical studies regarding these questions . . .
What benefits, if any, does prayer offer to your physical, mental, and emotional well-being? And if prayer activity can be scientifically measured, can you improve the practice to achieve even better results? Frankly, We Were Both Surprised and Excited by What We Found . . . 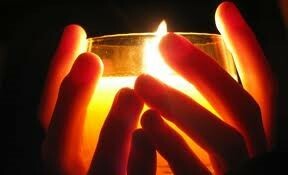 Meditation or contemplative reflection on a power greater than oneself, which can be God, the Universe, or all Life. Note the four major areas of the brain: the frontal lobe, the anterior cingulate, the parietal lobe, and the limbic system, which is comprised of several smaller parts. Each of these areas plays an important role, but according to Dr. Newberg, two of the four parts are much more important to your health and happiness, especially as you age. And the good news is this . . .
First, your frontal lobe, which is located just behind your forehead, is activated when you focus your attention, or when you plan, reason, read, or speak. life-robbing mental decline? Well, now you can. You see, prayer stimulates your frontal lobe, helps keep it healthy, and prevents age-related shrinkage. This is one of Dr. Andrew Newberg’s most exciting findings, and he was able to repeat the result, again and again, as he monitored brain waves in the frontal lobe of his subjects as they prayed. However, Dr. Newberg discovered that casual praying for just a few minutes per day had no significant impact on the frontal lobe. To get good results, he observed that his subjects needed to pray for a specific minimum number of minutes per day – or longer. And the good news is that prayer activates your anterior cingulate, which helps you to feel compassion for others and a loving connection to God, or all Life. But let’s continue now and consider two parts of your brain that are sometimes useful, but when unnecessarily activated can actually cause bodily and mental harm. Plus, why you’re better off with less activity in these areas of your brain . 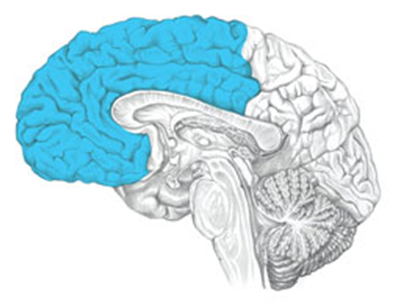 . .
First are your parietal lobes, which give you a sense of yourself separate from other people and things in the world. This area is important for spatial reckoning, physical self-awareness, and ego, but activity here can also give you a feeling of isolation and loneliness. What’s more, brain activity here is not associated with health benefits. Fortunately, Dr. Newberg says the time you spend praying, attending religious services, and even singing with the congregation deactivates your parietal lobes! This helps you to forget yourself and your problems, and instead to feel love and compassion for others, as well as a closeness to God, or all Life. There are many scientifically proven health benefits to this. Let’s see more . . . 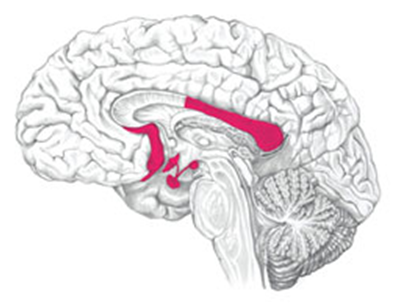 Finally, we must consider the limbic system, which frankly can be a real troublemaker. You see, the limbic system includes several parts situated just above your spinal cord. 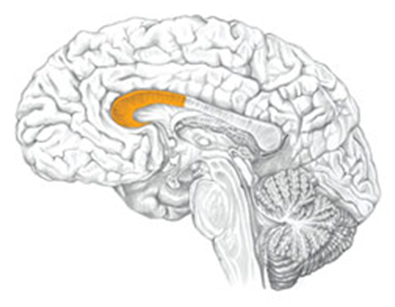 This is the primitive area of your brain, sometimes called reptilian, because even reptiles have a limbic system. The limbic system is where negative emotions are produced, such as anger, fear, resentment, as well as anxiety, depression, and pessimism. Some of these emotions were necessary for the “fight or flight” response our ancestors needed to survive. But they have far less value in our modern civilized society, especially when you’re mature and living a stable life. Under such circumstances, negative emotions will unnecessarily cause physical and emotional harm. How can you reduce these harmful negative emotions? According to Dr. Newberg, that’s easy. In fact, Dr. Newberg says that the more you diminish the activity in your parietal lobes and limbic system, at the same time you increase the activity in your frontal lobe and anterior cingulate – and as a result, you’ll be HAPPIER AND HEALTHIER! Read the original and find out more by clicking on this link! It’s easy, affordable, and yet incredibly profound work. I am delighted to teach Quantum-Touch Levels 1 & 2, facilitate classes throughout the United States along with Mentoring Practitioners, Students and Instructors. Let me help you become a Successful Certified Quantum-Touch Practitioner and have confidence as you work in the Quantum Field with Distant Healing and grow an International Clientele. Licensing of the Quantum-Touch Trade Name. Certified Practitioners and Instructors can use the Quantum-Touch Trade Name, techniques, systems, and organization to create a business as a QT practitioner and instructor. Only QT Practitioners and Instructors are legally allowed to advertise Quantum-Touch classes and sessions, thereby lending credibility to the title of Quantum-Touch Practitioners and Instructors. Professionalism and Credibility: The annual fee ensures that the QT only lists and sends referrals to active Quantum-Touch practitioners and instructors. These changes will benefit those who remain active, as well as customers who are looking for a practitioner and/or instructor. Practitioner/Instructor Profile: QT maintains your Practitioner/Instructor listing on the QT website.